One more day and it'll be humpday which means it's not too far until it's the weekend again. Because let's be honest, we all live for the weekend when (most of us) can sit back, relax, and have a few cheat day meals. 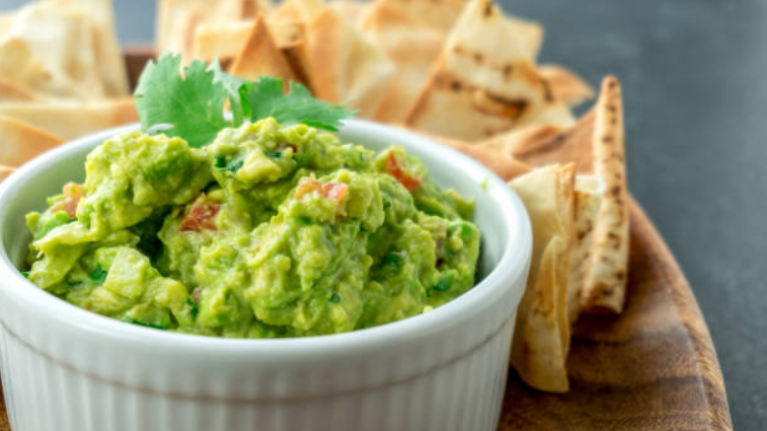 But until then, we fancy treating ourselves - and this bacon guacamole is the perfect snack. It's light but feel indulgent and all you have to do is add your favourite side, whether it be some carrot sticks, pitta bread or a bag of Doritos. Take 30g of bacon and fry off in a pan. Juice the lime half, and add to the cooked bacon and salsa. Mix the bowl of guacamole and the second bowl of lime, cooked bacon and salsa.